We shared the announcement from Disney Parks Blog of the new 270-acre, 50-megawatt solar facility that is expected to be online by the end of the year. This new facility is expected to generate enough renewable clean energy to power two out of the four theme parks. 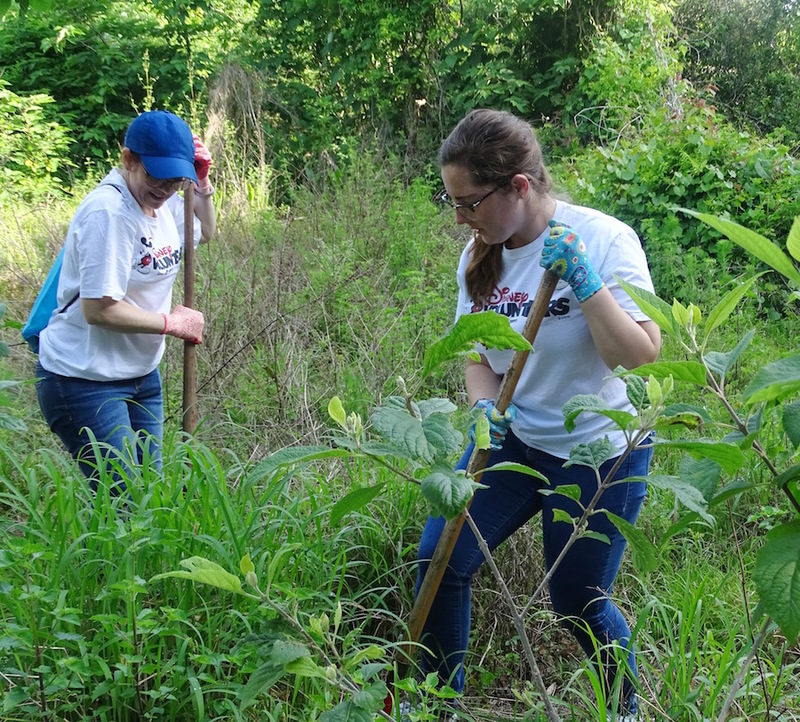 Disney World cast members volunteers through the Disney VoluntEARS program by maintaining trails and planting trees at the Oakland Nature Preserve and Lake Louisa State Park in Central Florida. Disney’s Animal Kingdom celebrated its 20th anniversary on Earth Day. 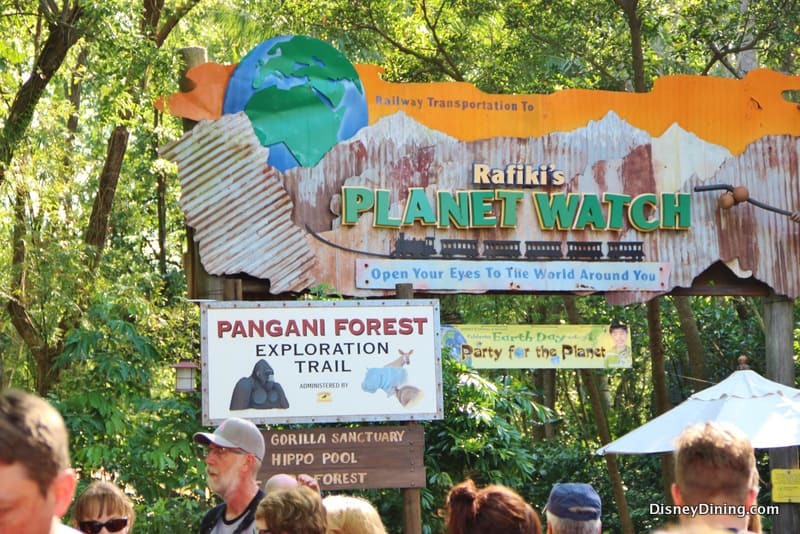 Guests were able to participate in a variety of activities during Party for the Planet, including a behind the scenes look into animal care at Rafiki’s Planet Watch. Guests were able to attend a special Tiffins Talks event (for an additional cost) where they could learn about Disney’s animal care and conservation efforts from Walt Disney World animal experts. When staying at a Walt Disney World resort, try to take the bus. The Disney buses run on renewable diesel that is made from used cooking oil and non-consumable food waste. Taking the Disney bus instead of driving helps to reduce emissions. No matter whether you are at Walt Disney World or at home, be sure to recycle plastic drink bottles, cans, paper, glass, etc. There are places to recycle around Walt Disney World and you should be able to find recycling facilities in your area when you are at home. Try using recycled or reusable bags for all of your purchases. You can do this when shopping at Walt Disney World or when shopping throughout your every day life. Try to conserve water as much possible. Reuse towels where you can reduce the amount of laundering that is needed and be sure to turn off the water when it is not in use. What other suggestions do you all have for us to help the planet while at home or at Walt Disney World?